Children enjoying on the mini ferris wheel in Dharavi. Poverty has not deterred them from enjoying the pleasures of childhood. Mumbai offers opportunities to make a living for all those who are willing to put in hard work like the guy on the extreme right who is the operator of the wheel and turns it manually. 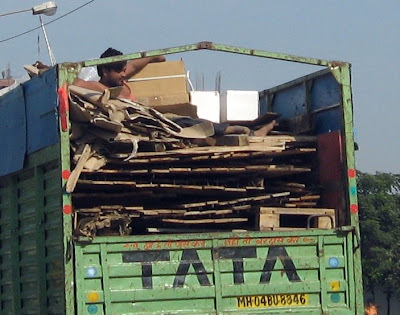 It is this hope to earn a living that draws so many migrants from all over the country and populates Mumbai. 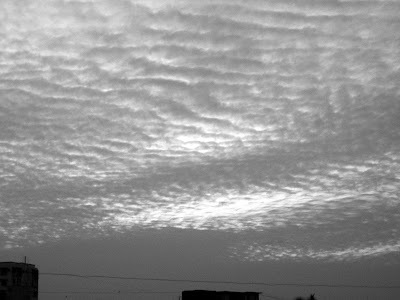 The Mumbai sky on 24Jan09 at 1812hrs. The big blue container is used as the lunch room for the workers building the Bandra Worli Sealink and the shiny stainless steel containers are their linch boxes or tiffins or 'dabbas' as they are known here. 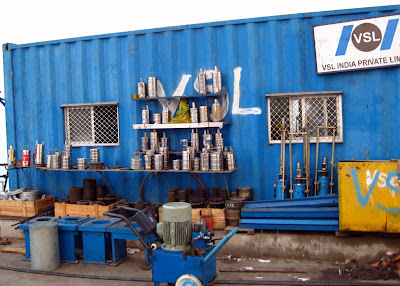 Am sure you can spot other utility containers in the picture too! One of the participants in the Mumbai Marathon running Barefoot! A Mumbai sunrise as seen from Bandra Reclamation.
! !Happy Republic Day to all Indians!!
! !Happy New Year to all Chinese!! Finders Keepers is what the crow saying with its claws firmly on the fried savory it found on the roadside. The others seem to be plotting and scheming to get at it. Photographers recording the proceedings at the Mumbai Marathon held on 18Jan09. A nice blue sky in Mumbai on 18Jan09 at 0858hrs, under which ran the athletes The Mumbai Marathon! Dr. Ashis Roy (born June 1, 1932) is an Indian Marathoner who ran his first Marathon at the age of 52, and now at the age of 76 has completed over 86 Marathons in 21 countries! Dr. (Wing Commander) Ashis Roy served in the Indian Air Force for 21 years and after retirement settled in New Delhi in 1978 as a Practicing Physician Cardiologist. At the age of 50 years Dr. Roy took up jogging and running to maintain good health. Athletes participating in the Mumbai Marathon. The athlete on the extreme left is Regu Neguse from Ethiopia who finished 4th. Next to him is Lemma Siyoum also from Ethiopia who went on to finish 5th. The handsome ahtlete on the right is Milind Soman - from the modelling world who managed to complete the Full Marathon despite recurring cramps. Over the next few days shall post some more details and pictures of this fabulous event. A different perspective of the cable stayed bridge towers of the Bandra Worli sealink in Monochrome. Yet another murder of crows but a change of venue! 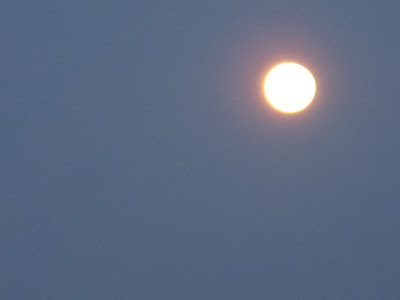 On 12Jan09 this magical moon had me hooked on a magical mystery tour! 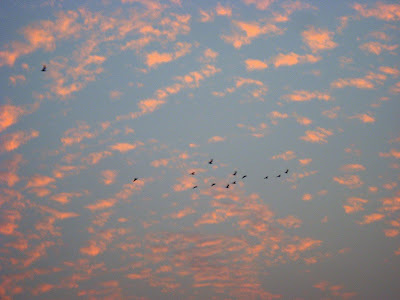 The Mumbai sky as seen on 12Dec08 at 1810hrs. A glorious sunset in Mumbai as viewed from the Bandra Worli sealink on 12Dec08 at 1740hrs. 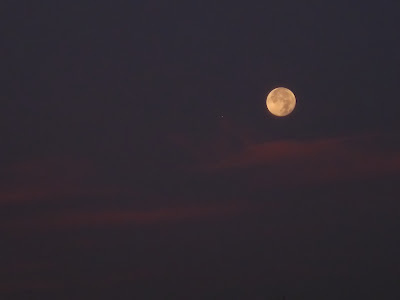 The Mumbai full moon reminds us of Zero - a very important numeral. In around 500AD Aryabhata devised a number system which had no zero, yet was a positional system. He used the word "kha" for position and it would be used later as the name for zero. There is evidence that a dot had been used in earlier Indian manuscripts to denote an empty place in positional notation. It is interesting that the same documents sometimes also used a dot to denote an unknown where we might use x. Later Indian mathematicians had names for zero in positional numbers yet had no symbol for it. The first record of the Indian use of zero which is dated and agreed by all to be genuine was written in 876. 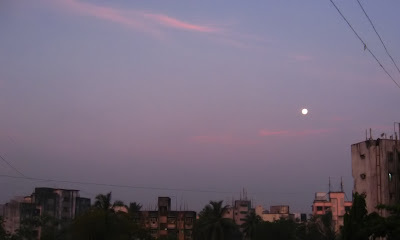 A Mumbai full moon morn' on 12Jan09 at 0707hrs. Monochromatic Mumbai on 08Dec08 at 1819hrs. A Murder of Crows conferring on the state of affairs in Mumbai. Bidding farewell to near and dear ones at the Kurla railway Terminus. 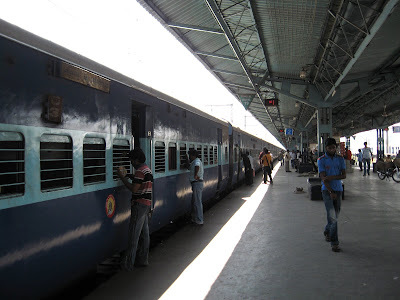 This train is going to Mangalore in Karnataka. It will take about 16hrs to traverse the distance through some scenic routes and will also pass through Goa. Mumbai sky on 12Dec08 at 1757hrs. 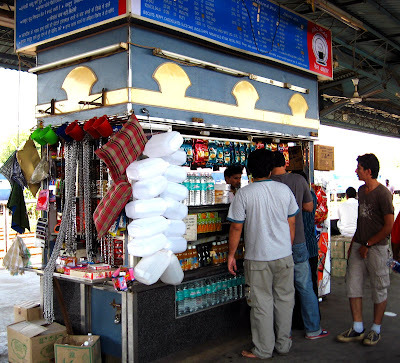 Travellers doing their last minute shopping at the Kurla Terminus before embarking on long journeys. These shops sell everything that a long distance traveller would need. Bottles of drinking water, cans to fill water, soft drinks, airpillows, chips and even chains that are used to secure your luggage to the seat legs. The Yellow elevator cage that took us up 100m above the Bandra Worli sealink. A Power nap between loading and offloading! The Bandra Worli sealink construction in Monochrome.